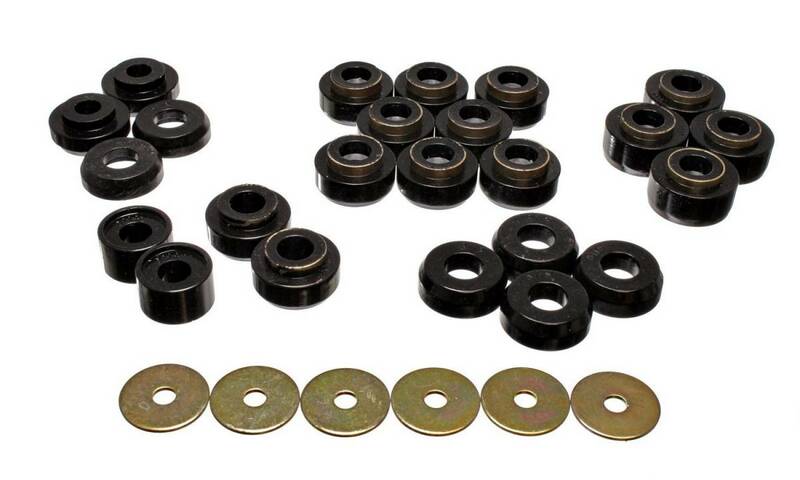 A PST Polygraphite Body Mount Kit eliminates undesirable body-to-chassis flex caused by soft factory rubber bushings. Maintain unit body integrity during hard cornering and improve overall handling! This set is of a softer durometer than the set for police & taxi models (POLY34136). Must reuse existing hardware.